ARLINGTON, VA; March 8, 2016 -- PBS and WGBH announced that the March 6 series finale of “Downton Abbey” on MASTERPIECE captured an average audience of 9.6 million viewers (Nielsen Fast National data, 6.1 household rating) across PBS stations nationwide. Sunday night’s viewership was 14 percent greater than the Season 5 finale (8.4 million viewers, 5.3 household rating) in March 2015 and was the most-watched finale of any season. “Downton Abbey” is a Carnival Films/MASTERPIECE co-production. “It’s incredibly hard to say good-bye to a show that has brought so much pleasure to so many people,” said MASTERPIECE executive producer Rebecca Eaton. “A huge thanks to everyone at ‘Downton’ — upstairs and downstairs, on-screen and behind-the-scenes. You’ve given us a historic piece of television. And, American viewers, please rest assured that, even after the sun sets on ‘Downton Abbey,’ MASTERPIECE will continue to shine on with the very best of British drama!” MASTERPIECE is presented on PBS by WGBH Boston. Since its debut in 2011, “Downton Abbey” has been one of the most honored series on television, with 12 Emmy® wins, three Golden Globes®, four Screen Actors Guild Awards®, two Producers Guild Awards® and four BAFTAs®. It’s the top PBS drama of all time and the most popular series in MASTERPIECE history. On Sunday, more than 25,400 people sent 66,400 tweets about “Downton Abbey” on MASTERPIECE on PBS, yielding 7.5 million impressions (Source: Nielsen). Overall, the final episode was the most tweeted episode of the season (Source: Nielsen, 1/3/16 to 3/6/16) and was the #2 most social program during primetime (Source: Nielsen, 3/6/16, excluding sports events and sports-related programming, ranked on unique authors/tweets). “Downton Abbey, The Final Season” is the most streamed season of the series with 12.4 million streams across all PBS digital platforms as of March 8th. This is 16 percent more total streams year-over-year compared to the same time period during season five (Source: Google Analytics). The series finale of “Downton Abbey” will be available to stream for free through March 20 on PBS.org, via the PBS apps for iOS and Android devices and via station-branded digital platforms including Roku, AppleTV, Amazon Fire TV and Chromecast. The MASTERPIECE website, which takes viewers into the world of “Downton,” has reached more than 7 million unique visitors since January 1, 2016. Visitors can watch exclusive behind-the-scenes clips and interviews with the cast, flip through show imagery, listen to podcasts and take character quizzes. To engage enthusiastic viewers in the final season, local PBS stations held 344 preview screenings and 76 finale screenings, drawing nearly 100,000 attendees. These events ranged from intimate gatherings at major donors’ homes to large tea parties and showings at stations to extend the excitement of the series through communities across the country. Additionally, MASTERPIECE’s newly launched podcast, MASTERPIECE STUDIO, has been listened to more than 1.5 million times in just over two months, and has ranked as high as #12 on iTunes’ top podcast chart. Episodes of “Downton Abbey, The Final Season” can be purchased digitally through iTunes, Amazon Video, VUDU and Google Play. Fans can also purchase the DVD/Blu-Ray of Seasons 1-6 of “Downton Abbey” through retailers including shopPBS.org and Amazon.com. PBS, with 350 member stations, offers all Americans the opportunity to explore new ideas and new worlds through television and online content. Each month, PBS reaches more than 100 million people through television and over 33 million people online, inviting them to experience the worlds of science, history, nature and public affairs; to hear diverse viewpoints; and to take front row seats to world-class drama and performances. PBS’ broad array of programs has been consistently honored by the industry’s most coveted award competitions. Teachers of children from pre-K through 12th grade turn to PBS for digital content and services that help bring classroom lessons to life. PBS’ premier children’s TV programming and its website, pbskids.org, are parents’ and teachers’ most trusted partners in inspiring and nurturing curiosity and love of learning in children. More information about PBS is available at www.pbs.org, one of the leading dot-org websites on the Internet, or by following PBS on Twitter, Facebook or through our apps for mobile devices. Specific program information and updates for press are available at pbs.org/pressroom or by following PBS Pressroom on Twitter. The top-rated primetime show on PBS, MASTERPIECE is celebrating its 45th anniversary in 2016. MASTERPIECE is presented on PBS by WGBH Boston. Rebecca Eaton is executive producer. Funding for the series is provided by Viking River Cruises and Audible with additional support from public television viewers and contributors to The MASTERPIECE Trust. MASTERPIECE is known for presenting iconic shows such as Upstairs Downstairs, Prime Suspect, The Forsyte Saga, Poldark, Sherlock and Downton Abbey. Carnival Films is a division of NBC Universal International Studios and is the UK’s largest drama specialist. 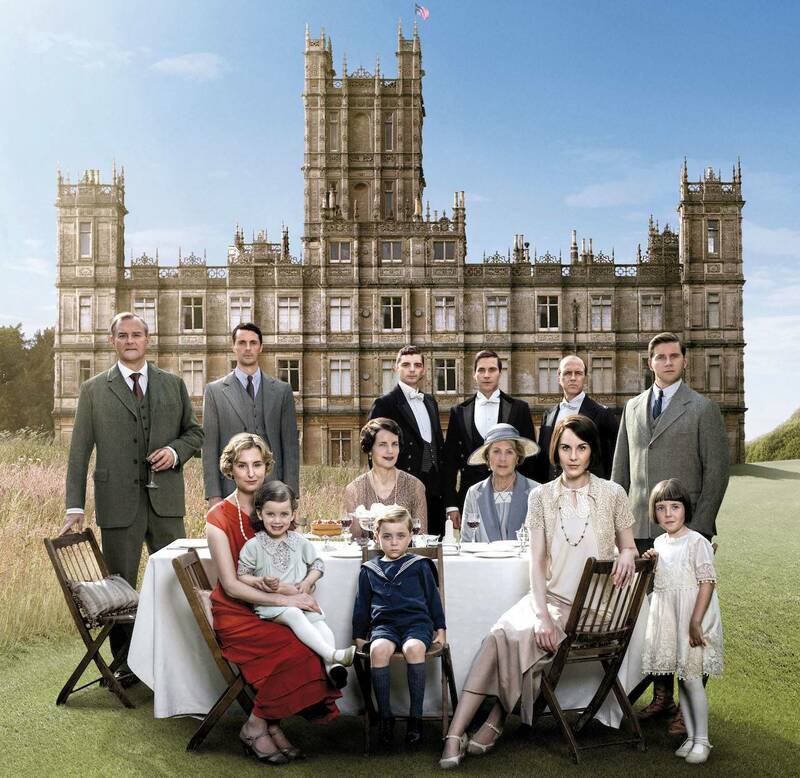 The company is responsible for the global TV sensation Downton Abbey, winner of three Golden Globes and 12 Primetime Emmy awards, including Best Mini-series. It is the most-nominated non-US show in the history of the Emmys with a total of 59 nominations and is now in over 250 territories worldwide. Among numerous national and international awards, including four Screen Actors Guild Awards and four National Television Awards, the show has even garnered a Guinness World Record for highest critical ratings for a TV show, and the BAFTA Special Award in recognition of its outstanding global success. Downton Abbey is executive produced by Carnival’s managing director Gareth Neame, who sold the production company to NBCUniversal in 2008. Founded in 1978, Carnival Films has produced many hundreds of hours of popular drama both in the UK and US, including primetime series such as Poirot, Hotel Babylon, Whitechapel, Dracula and The Philanthropist, as well as miniseries such as C4’s iconic Traffik, David Nicholl’s The 7:39, David Hare’s Worricker Trilogy, as well as William Boyd’s BAFTA-winning Any Human Heart, and Peter Morgan’s BAFTA-winning The Lost Honour of Christopher Jefferies. The sixth and final season of Downton Abbey aired on ITV in the UK and returned to PBS in January 2016. Carnival’s latest series The Last Kingdom recently concluded on BBC TWO and BBC America. Stan Lee’s Lucky Man is currently airing on Sky One in the UK.